A polymath (Greek, “having learned much,”) sometimes referred to as a Renaissance man, is a cultured man who is knowledgeable, educated or proficient in a wide range of fields. Hawaiʻi’s last King, Kalākaua, has been referred to as a Renaissance man. Concerned about the loss of native Hawaiian culture and traditions, Kalākaua encouraged the transcription of Hawaiian oral traditions, and supported the revival of and public performances of the hula. King Kalākaua has also been described as a monarch with a technical and scientific bent and an insatiable curiosity for modern devices. Kalākaua became king in 1874. Edison and others were still experimenting with electric lights at that time; Edison’s first patent was filed four years later in 1878. The first commercial installation of incandescent lamps (at the Mercantile Safe Deposit Company in New York City) happened in the fall of 1880, about six months after the Edison incandescent lamps had been installed on the steamer Columbia. In Hawaiʻi, the cornerstone for ʻIolani Palace was laid on December 31, 1879. In an era of gas lamps, King Kalākaua was astute enough to recognize the potential of “electricity,” and helped pioneer its practice in the Hawaiian kingdom. The king had heard and read about this revolutionary new form of energy, but he needed further evidence of its practical application. Kalākaua arranged to meet the inventor of the incandescent lamp, Thomas Edison, in New York in 1881, during his world tour. Five years after Kalākaua and Edison met, Charles Otto Berger, a Honolulu-based insurance executive with mainland connections, organized a demonstration of “electric light” at ʻIolani Palace, on the night of July 26, 1886. Shortly after this event, David Bowers Smith, a North Carolinian businessman living in Hawaiʻi, persuaded Kalākaua to install an electrical system on the palace grounds. The plant consisted of a small steam engine and a dynamo for incandescent lamps. On November 16, 1886 – Kalākaua’s birthday – ʻIolani Palace was lit by electricity. With the palace lit, the government began exploring ways to a provide power plant to light the streets of Honolulu. They turned to hydroelectric, using the energy of flowing water to drive the turbines of a power plant built in Nuʻuanu Valley. A year later, the first of a handful of residences and business had electricity. By 1890, this luxury had been extended to 797 of Honolulu’s homes. It was not long after this that King Kalākaua expressed his interest in having an observatory in Hawaiʻi. Perhaps as a result of the King’s interest, a telescope was purchased from England in 1883 for Punahou School. The five-inch refractor was later installed in a dome constructed above Pauahi Hall on the school’s campus. In 1891, while ill in bed, King Kalākaua recorded a message on a wax-type phonograph in the Palace Hotel in San Francisco. King Kalākaua’s desire for technology had an effect on all Hawaiʻi; technology changed the way the people of Hawaiʻi lived. King Kalākaua wanted Hawaiʻi to be seen as a modern place and not an isolated, primitive kingdom. 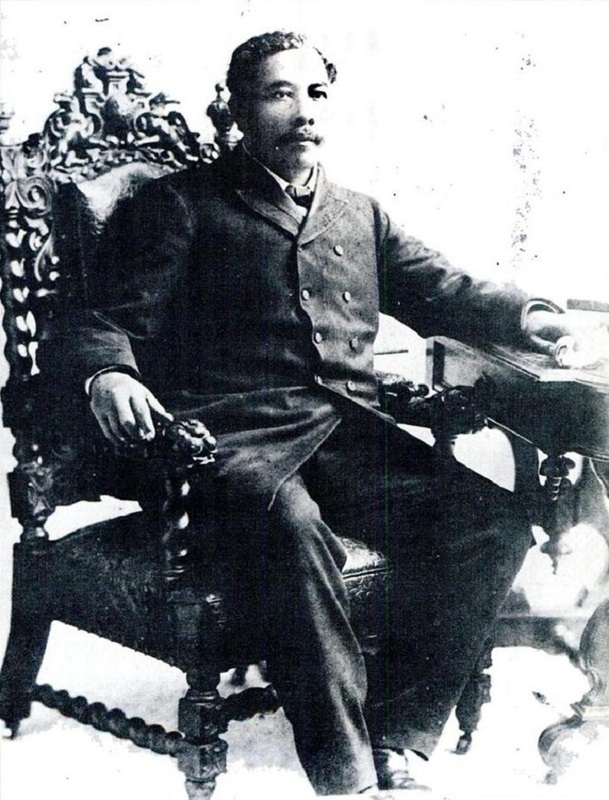 The image shows the last photograph of Kalākaua, taken in San Francisco by Thomas C. Marceau, in early January 1891. In addition, I have added other related images in a folder of like name in the Photos section on my Facebook and Google+ pages.